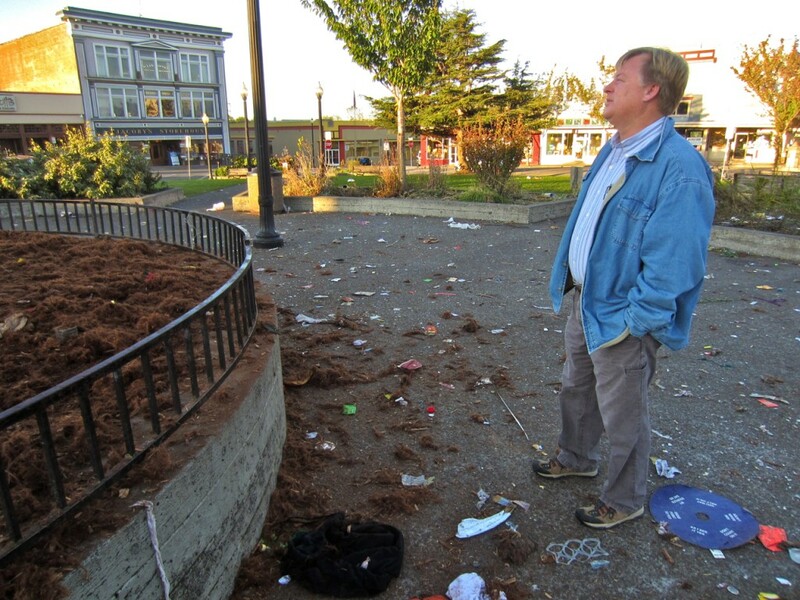 The following is a memorandum distributed this afternoon to City of Arcata staff and city councilmembers. – Ed. Mr. McKinley cleans up nice. 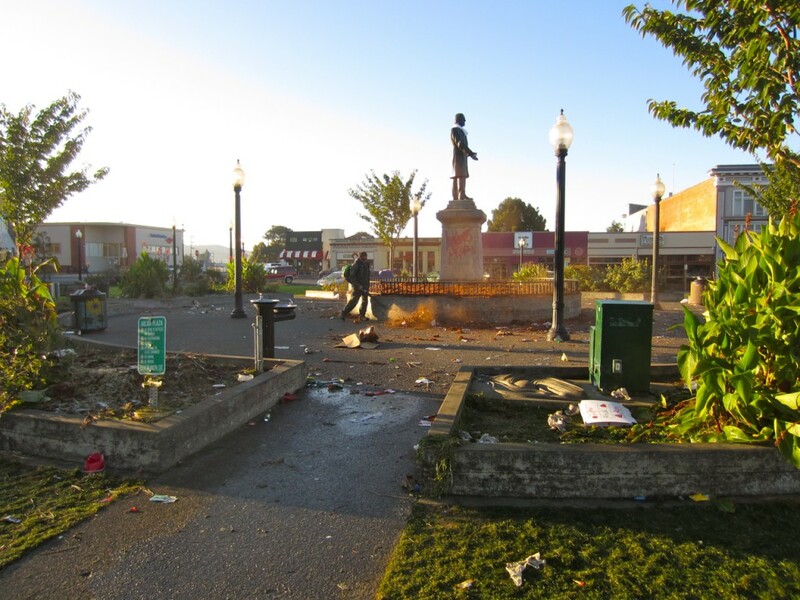 We spent approximately 35-40 staff hours cleaning the Plaza picking up 51 bags of garbage (3000 lbs). 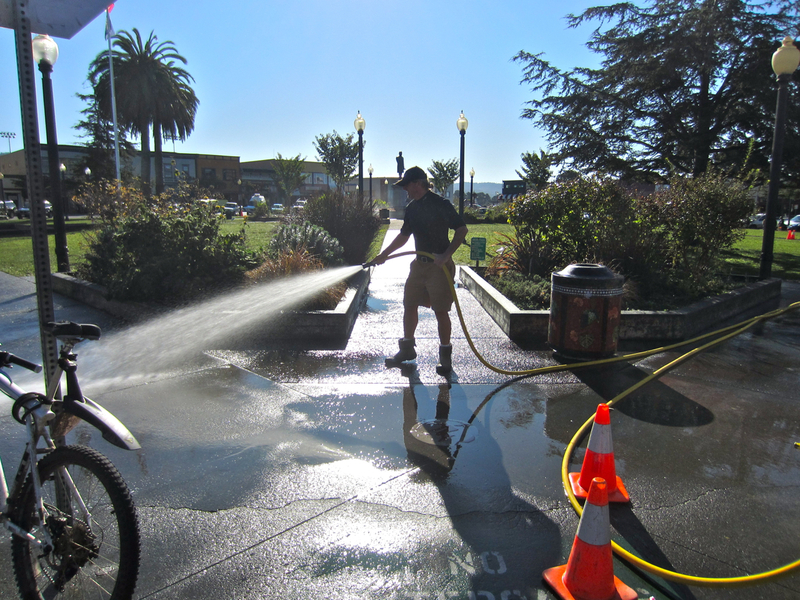 We scoured the turf and picked up all visible glass, whippets, condoms, human excrement, etc.. We power washed the center of the Plaza and McKinley, utilized fire hoses and washed down all the sidewalks, benches and amenities. 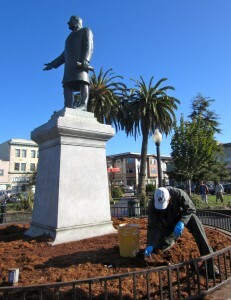 Public Works also swept the streets. We left the site at 3:45, safe for the public. During our cleaning, we were not allowing people within the Plaza – but it is okay now. Though beaten and bruised, it is safe for the public. You know, after all the Plaza has been through recently, it needed this anyway. This entry was posted on Tuesday, November 1st, 2011 at 7:31 pm	and is filed under News, Featured, Featured Photo. You can follow any responses to this entry through the RSS 2.0 feed.